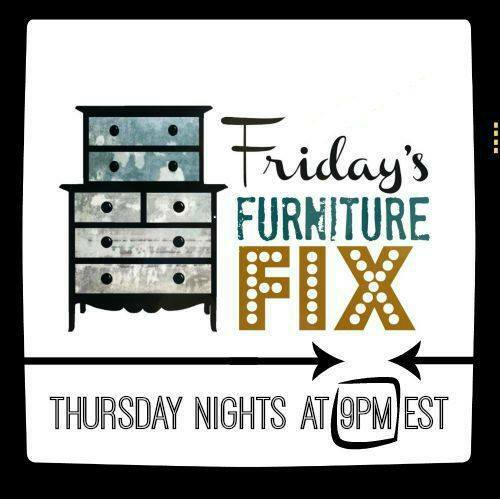 Welcome back to our weekly furniture party! Another week of beautiful makeovers and fabulous creativity. You certainly keep the inspiration flowing! 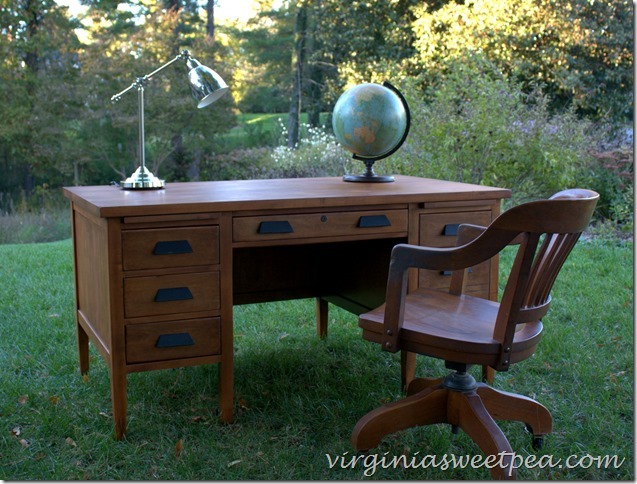 I chose this antique desk by Virginia Sweet Pea. 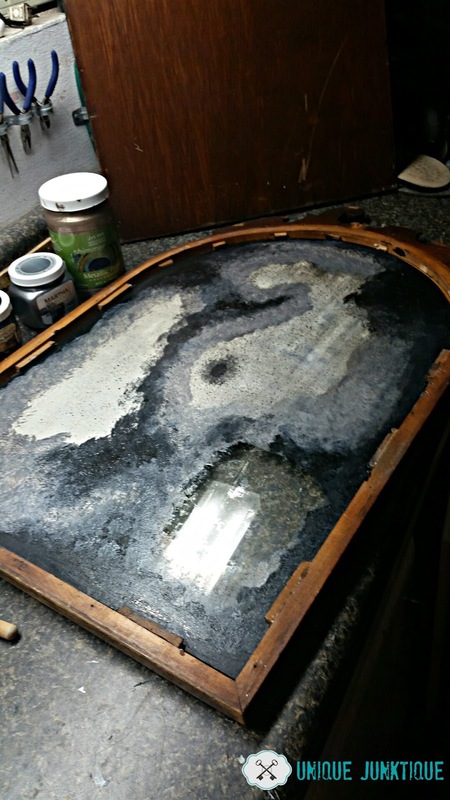 My broken record phrase: "Thank you for not painting this beautiful thing." 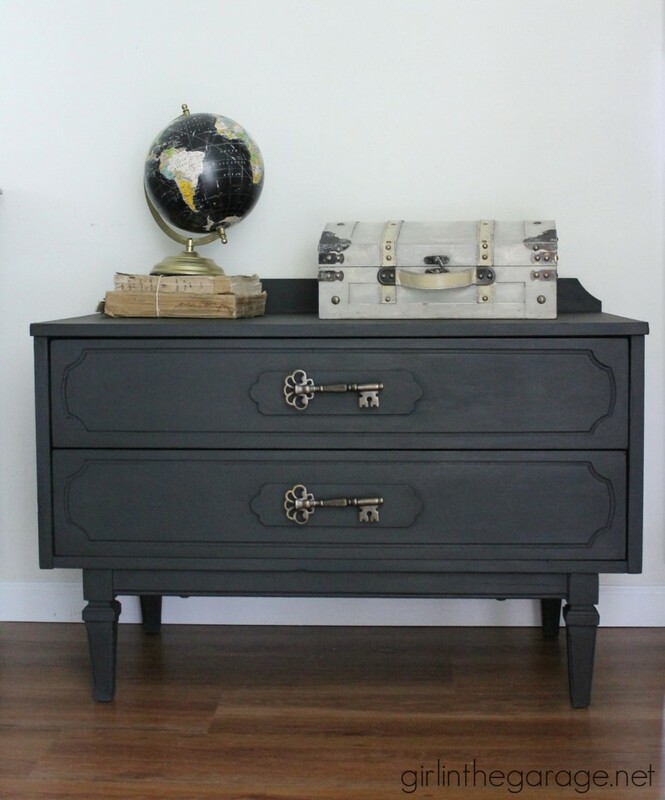 Paula fixed up the desk with General Finishes Gel Stain, and accentuated the wood handles with black paint. It couldn't be more perfect. Lucy from Patina Paradise picked this classic dresser by Ashley of Vintage Refined. Nancy from Slightly Coastal picked this spooky Halloween-inspired mirror by Brenda of Unique Junktique. How cool is that! Carrie from Thirty Eighth Street chose this updated chair by Kimm of Reinvented KB. She had my heart with that plaid throw. Finally, our most-clicked link was this adorable graphite table by Jen of Girl In The Garage. 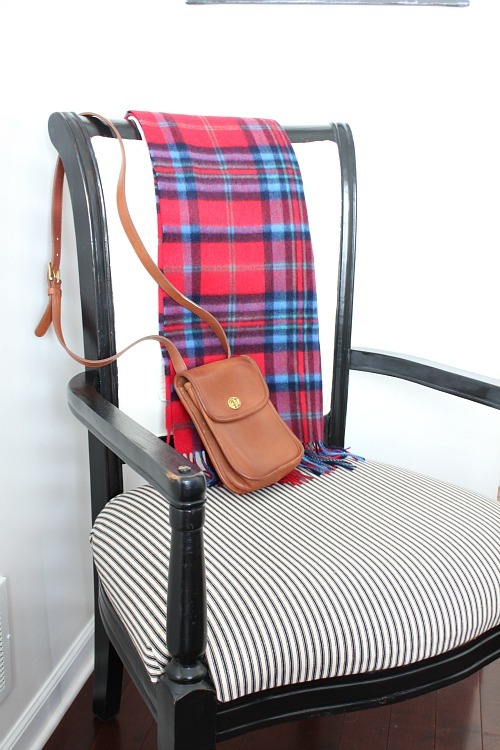 Thanks so much for featuring my desk! 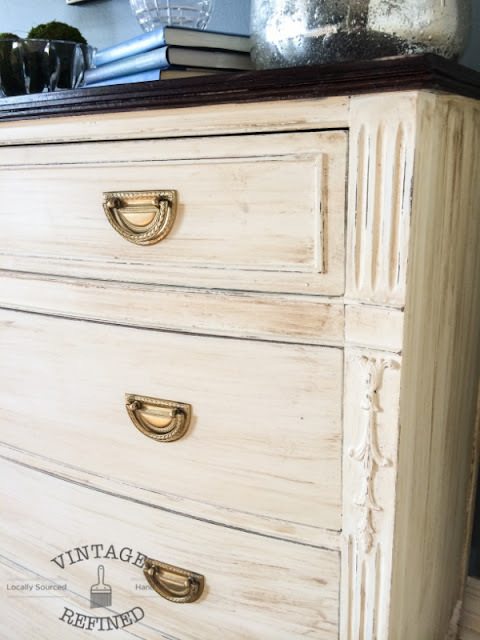 I know that a lot of people would have painted this piece but after sanding it a bit, I could tell that the wood was going to be pretty with some stain. I'm hoping to move it into my office this weekend.